Photograph depicts two men purchasing items in foreground, facing away from photographer. 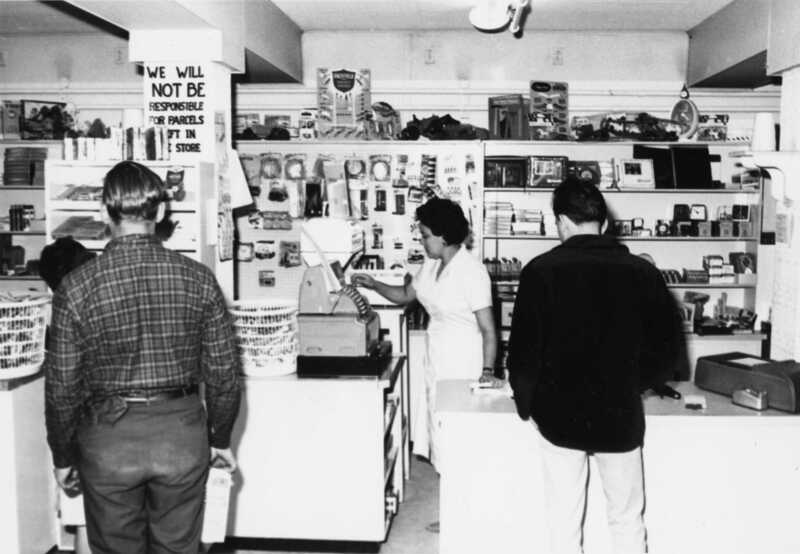 Unknown woman stands at till behind counter in midground, wearing long white professional jacket. Stocked shelves on wall in background. Store appears to be stocked with groceries and general supplies. Handwritten annotation on recto of photograph: "-2".